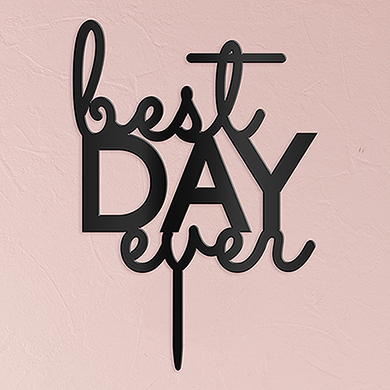 It is likely your wedding day truly will be the “best day ever”. 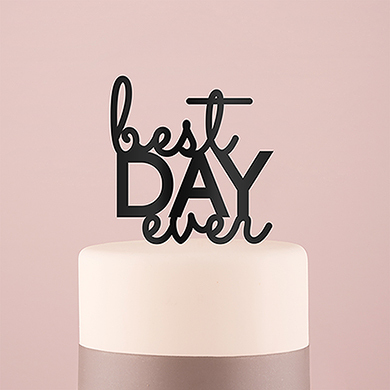 Incorporate this modern typographic sign into your wedding by adorning your cake with this trendy, statement topper. Simply place the food safe stake into your cake to complete the best cake ever.